This book is the final version of a course on algorithmic information theory and the epistemology of mathematics and physics. 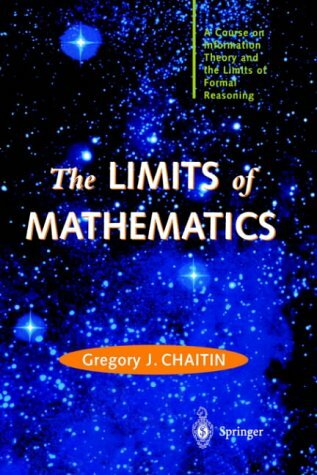 It discusses Einstein and Goedel's views on the nature of mathematics in the light of information theory, and sustains the thesis that mathematics is quasi-empirical. We introduce algorithmic information theory, also known as the theory of Kolmogorov complexity. We explain this quantitative approach to defining information and discuss the extent to which Kolmogorov's and Shannon's theory have a common purpose.